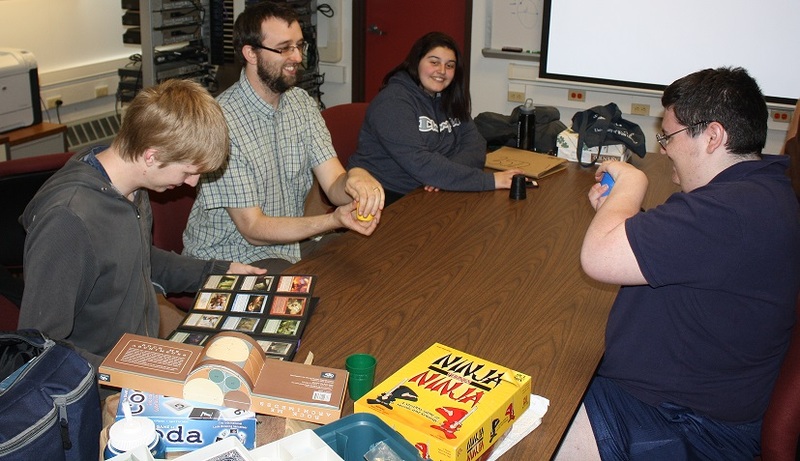 As the Computer Science and Technology Department continues to develop new social events for students, this fall semester Kyle Burke began hosting a weekly Board Game Lunch upstairs in one of the department’s Systems Lab. Both students and department faculty were invited to come and participate. For more details about when and where to attend the weekly game lunch head over to Kyle’s Board Game Lunch page.